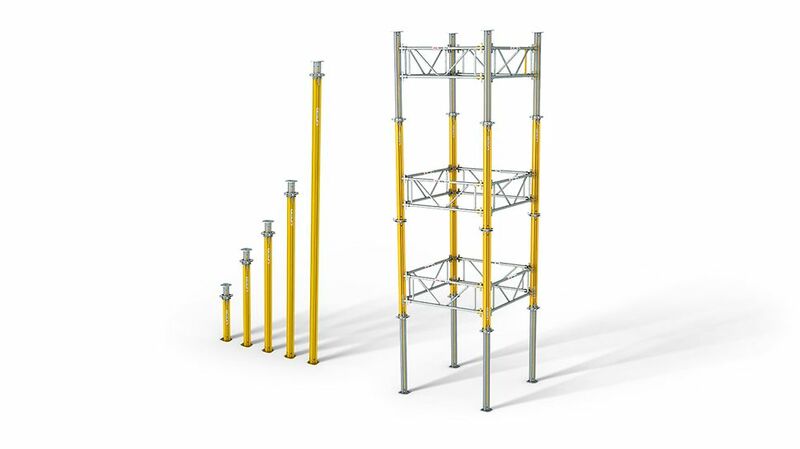 MULTIPROP Post Shores are used as individual props and – in combination with MULTIPROP frames – as shoring towers or load towers under tables. 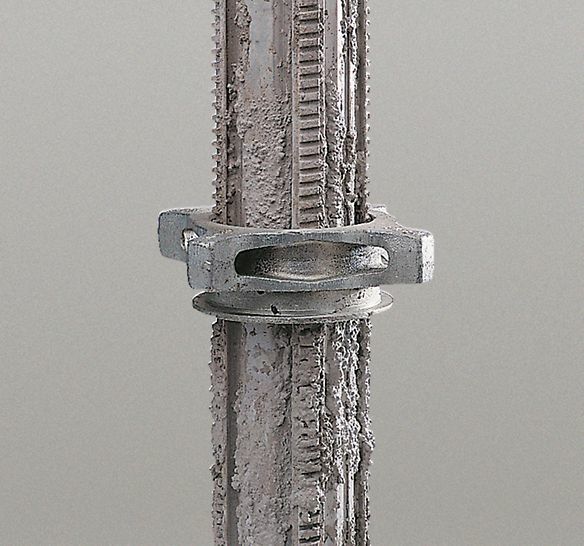 Compared with tubular steel slab props, the aluminium MULTIPROP carries significantly higher loads whilst, at the same time, has a very low dead weight. 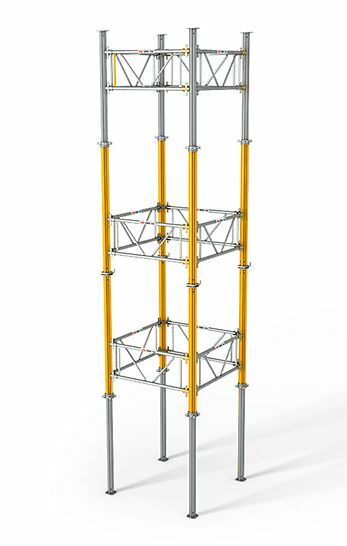 With different frame sizes, square or rectangular shoring towers can be optimally adapted to suit individual construction site conditions. 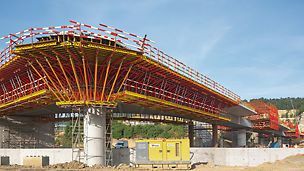 The frames also serve as platform beams and side protection for working levels. 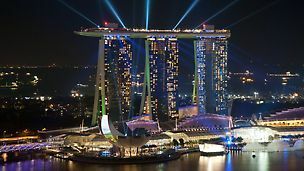 MULTIPROP slab props are made of aluminium which means they are very light, e.g. the MP 350 weighs only 19.40 kg. 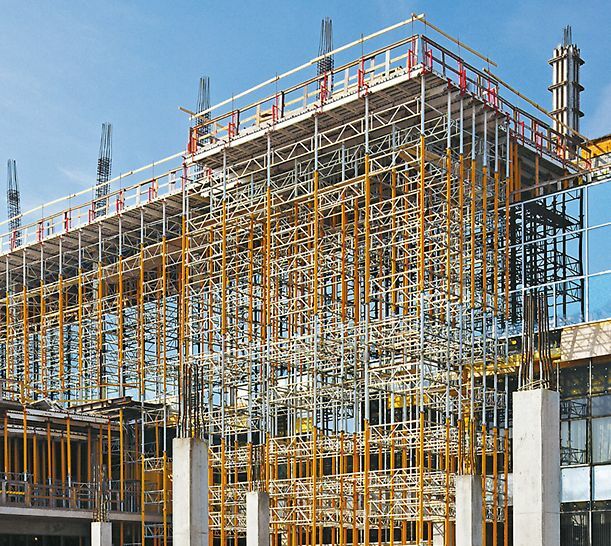 With its extension lengths from 1.95 – 3.50 m 90% of standard operations in building construction can be covered. Ingeniously designed details ensure a long service life. The cleverly-designed profile made of aluminium alloy absorbs impacts elastically, e.g. when a prop falls over. Material selection and design are perfectly matched. The MULTIPROP thread is self-cleaning and the free-running collar does not jam, even when dirty. 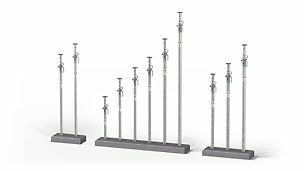 MULTIPROP slab props MP 250, 350, 480 and 625 are officially approved by the Deutsches Institut für Bautechnik in Berlin (No. Z-8.312-824) and complies with DIN standard DIN EN16031. 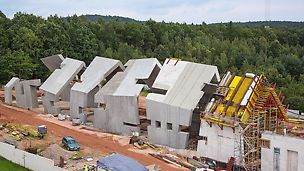 Connected with MRK frames, the MULTIPROP slab props are used under tables or as shoring towers. 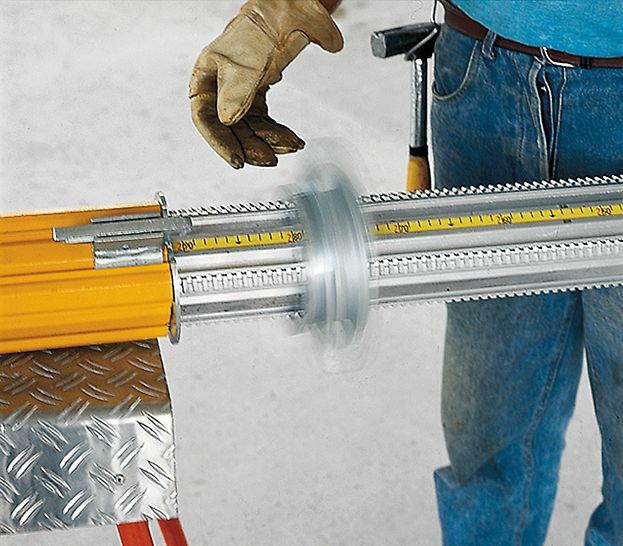 Leg loads of up to 100 kN allow cost effective transfer of loads. 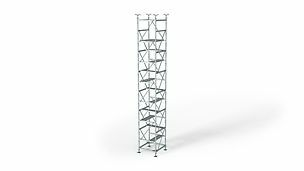 The MULTIPROP frames facilitate optimal customization on the construction site (regardless whether a square or rectangular assembly grid). 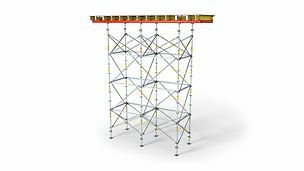 The MULTIPROP frame can be used as a platform beam and side protection when assembling a working scaffold. 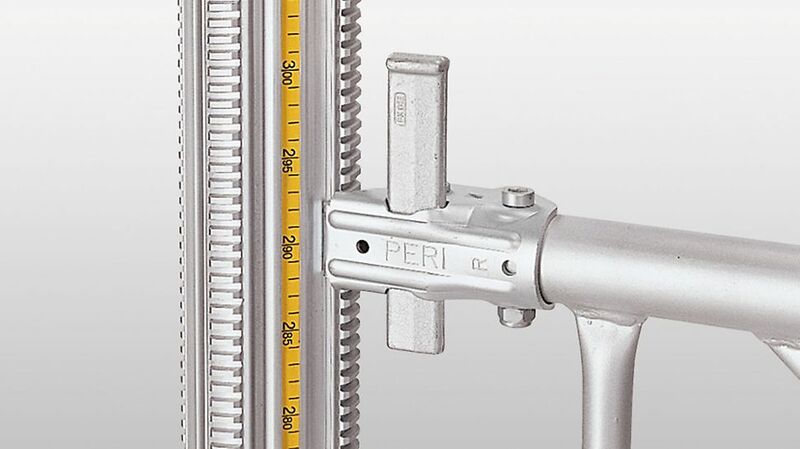 Special accessories: Frames (Height 50 cm) suitable for supporting and guardrails. Decks 150 x 60 and 225 x 60 with and without hatch.